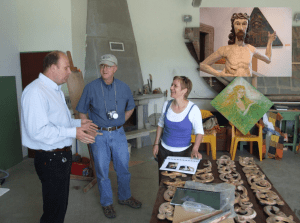 In 2009, Adirondack Architectural Heritage took part in a 10-day hands-on preservation exchange in Slovakia. Alongside a group of Slovak preservation colleagues, we explored Slovakia’s architecture, landscapes, and unique preservation work. We were blown away by all we learned, saw, and experienced during this enriching excursion. AARCH has wanted to return to Slovakia since this formative trip to share this experience with our members and friends. We are excited to make this tour happen in 2019! 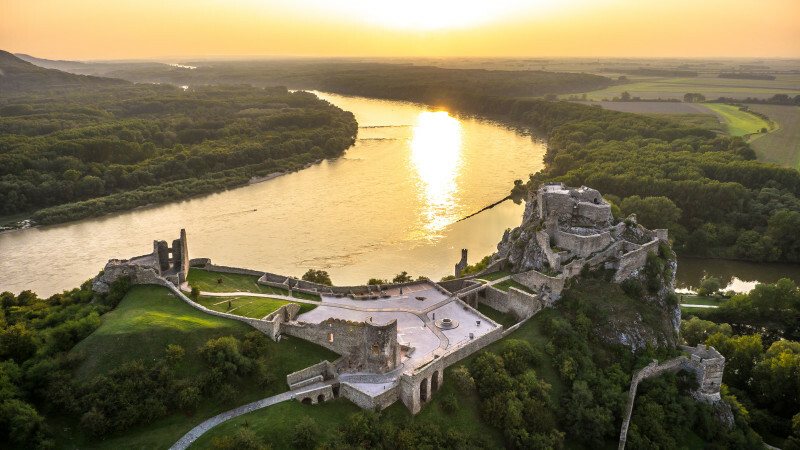 Now is your opportunity to travel to Slovakia with the AARCH family on an 11-day adventure, led by Executive Director Steven Engelhart and English-speaking professional guides. We are also pleased to have personal assistance from our preservation colleague, Dr. Katarina Voskova, Researcher in the Department of Theory and History of Architecture and Monuments Preservation of the Faculty of Architecture, Slovak University of Technology in Bratislava. Katarina is also the head of the university’s Scientific and Educational Center in Banská Štiavnica. 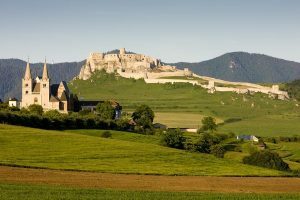 Slovakia is a small country — about twice the size of the Adirondack Park — with an impressive seven UNESCO World Heritage Sites. We’ll visit many of these sites including Banska Stiavnica and Bardejov, walled cities with their remarkably preserved architectural marvels, some dating back to the 13th century. We will also visit ancient castles in the countryside and see the magnificent mountainous landscape of the High Tatras. We will also have the opportunity to visit at least two wooden churches (a rare building type) including the Church of St. Francis of Assisi, the oldest wooden church in Slovakia, which dates back to the 15th century. Late September is an ideal time to tour Slovakia. Much like late-September in the Adirondacks, the tourist crowds clear, the weather is ripe for exploring, and the landscapes shimmer with the late-season sun. If you are interested in more information about this once-of-a-lifetime adventure, please read on for additional information and registration details. We hope you will join us! We begin our adventure in Bratislava, the capital city of Slovakia. We will have some time to relax, stretch our legs with a nice walk around the Old City and enjoy a warm welcome with wine and cheese with our guides. Here, we’ll visit Devin and Bratislava Castles. 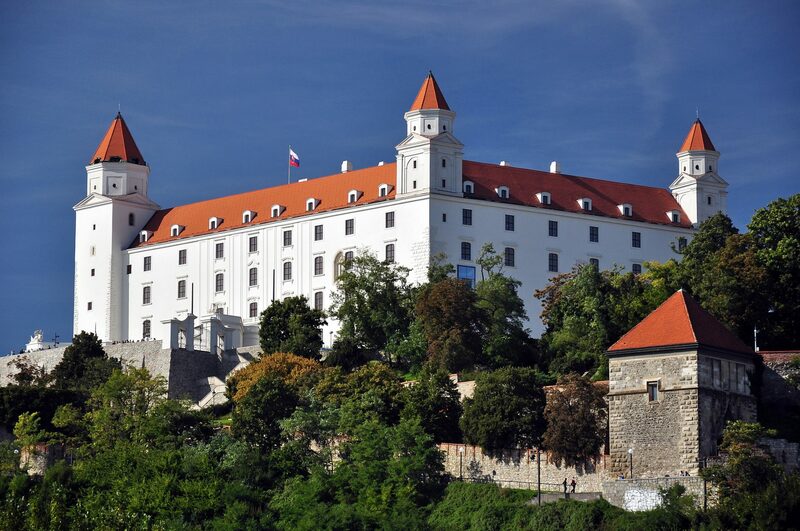 The existing Bratislava Castle was built in the 17th century in the baroque style, the fashionable architectural style of the time, to replace the outdated Renaissance style castle built in the 16th century by King Ferdinand. During our tour we’ll learn about the recent restoration of this remarkable site. You will also have plenty of free time to explore the Old City on your own. On our way to Banska Stiavnica, we’ll stop at the wooden Lutheran church at Hronsek, completed in 1726 and a UNESCO World Heritage Site. Evangelical churches of this age and type are extremely unique due to restrictions set by the church at the time of construction. Leaders decreed that such churches had to be constructed entirely of wood, without using a single iron nail; that the entire structure had to be built in one year; that the main entrance of the church could not face the street; and that churches could not have an attached bell tower. 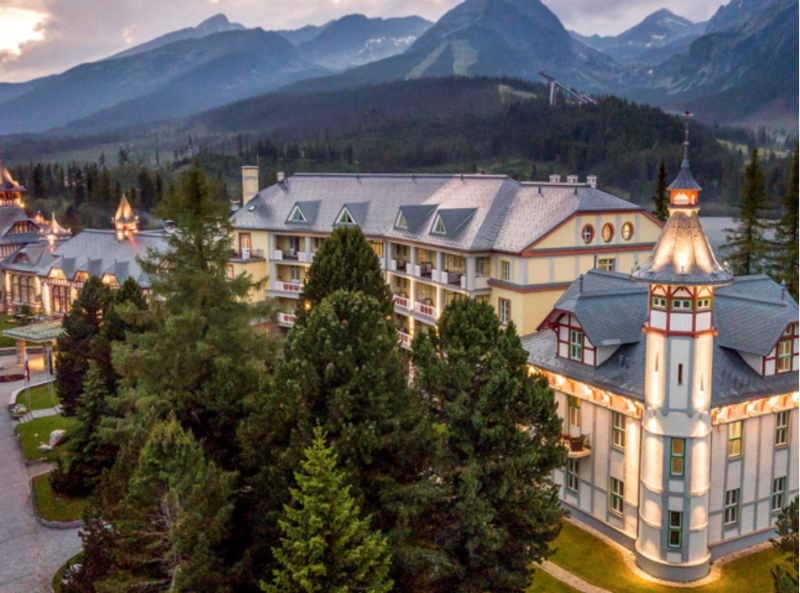 In the area we’re referring to as the “Lake Placid Region” of Slovakia (think picturesque mountain vistas and swanky accommodations), we’ll enjoy some open-ended days, allowing participants a chance to relax and explore on your own. 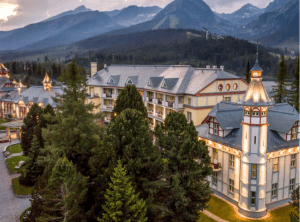 Possible activities could include a morning trip to high mountains on a gondola, short hikes or walks in the area, visiting local shops and vendors, or a little pampering at the hotel spa. We’ll have a guided tour of this walled museum city and UNESCO World Heritage Site that dates back to c. 1240. Our time here will include guided tours of city, the icon museum, and churches. We’ll visit Spis Castle on our way back to Bratislava. Built in the 12th century, this is one of the largest castles in Europe, and a UNESCO World Heritage Site. From its walled medieval cities, to its bustling capital, to its amazing wooden churches, to its mountainside castles, to the dynamic state of its preservation efforts, there is every reason to fall in love with Slovakia, its architecture, and its people. This 11-day trip is limited to 24 participants, plus AARCH staff members. To Register: Express interest via email, or by mailing request to AARCH, 1745 Main St., Keeseville, NY 12944. Deadline for registration is February 1, 2019. Please include a paragraph or two explaining why you are interested in this unique trip and about any previous international travel experience. If you have previously traveled with AARCH to Cuba or Armenia, no need to include your past travel history. If there is a high volume of requests, we will choose tour participants via a lottery process and will inform participants by February 15, 2019. Pricing: The total cost for this eleven-day adventure is $3,750 per person (based on double occupancy; please add an additional $700 for single occupancy). Airfare is NOT included; each traveler is responsible for his or her individual travel to and from Vienna, Austria. A one-time, tax-deductible $500 per person deposit is required by February 22, 2019. Adirondack Architectural Heritage has organized and offered several hundred day-long and multi-day tours across the Adirondacks for over 25 years. In 2016, we made the leap into international travel by organizing an exciting and enlightening trip to Cuba. 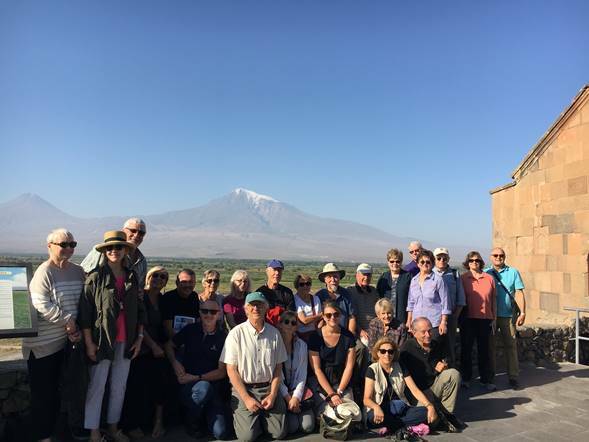 We took a group of intrepid members and friends to this country, little-known to Americans for decades, and were surprised and energized by what we learned and saw there (READ this blog from 2017 about our trip). Rolling on the success and excitement of this first trip, we organized a second adventure to Cuba in 2017, and then in 2018, we changed gears and brought a group of our members and friends to Armenia. These trips are not only great opportunities to explore the rich diversity in architecture, culture, and landscapes that are found around the globe, they are also wonderful opportunities to make life-long friends. This unique travel experience allows you to explore new landscapes with a group of preservation- and architecture-minded individuals from diverse backgrounds. Plus, these trips help support AARCH’s important work in the Adirondack region. View our entire itinerary, maps, FAQ, and program HERE. More information about our hotels: HERE. UNESCO World Heritage Site Listings for Slovakia HERE.